This scrumptious salad is the antithesis of those insipid ‘rabbit food’ salads that taste like you’re eating a bowl of lawn trimmings. 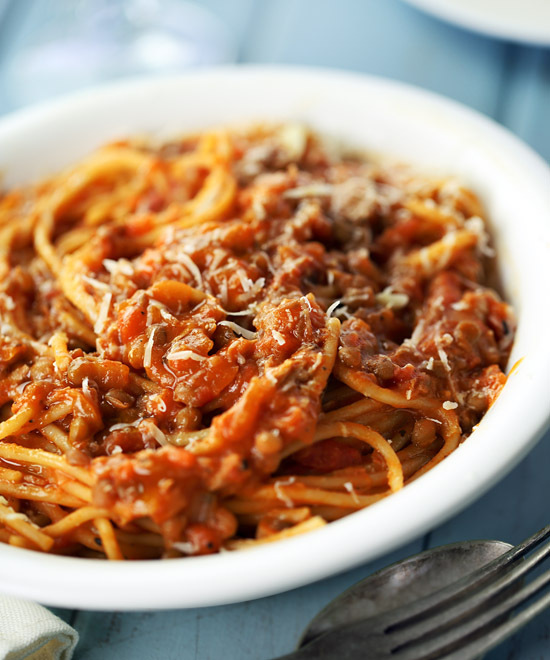 It’s loaded with an attractive combination of tasty and nutritious ingredients that add plenty of flavor and texture in every bite. 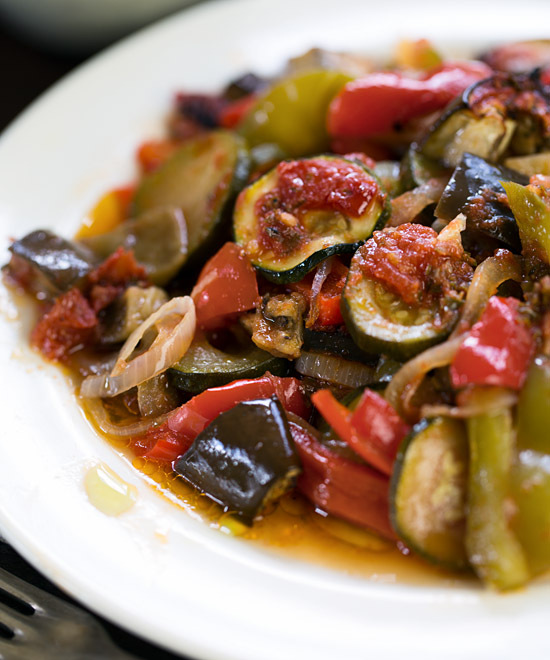 The zucchini and peppers are not too oily or mushy – they’re still firm yet tender and have a sweet and slightly smoky taste. Crumbled feta cheese and Kalamata olives add a robust depth of flavor, and the baby spinach leaves adds color, crispness and an ample serve of nutrients. The simple dressing coats everything lightly, adding a lovely lemon-garlic-herb flavor and keeping the salad nice and moist, instead of drenching it and turning it into a soggy mess. 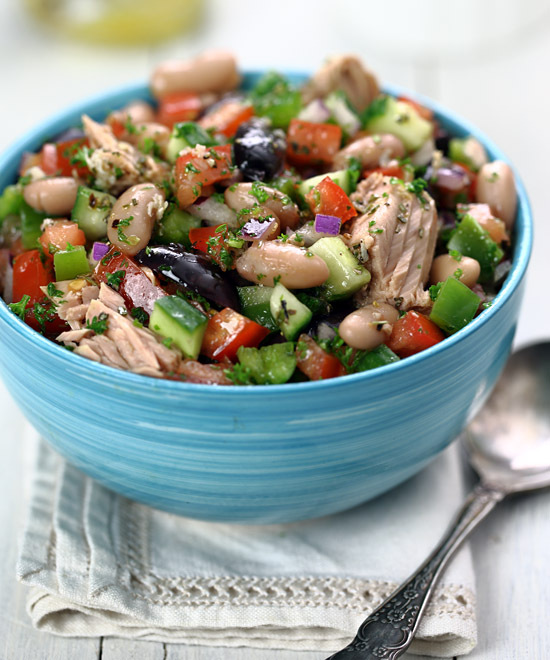 You can customize your own version of this salad and add/subtract ingredients to your liking. For a more substantial meal, add a few slices of grilled chicken breast (or shredded rotisserie chicken), or some grilled or barbecued seafood like salmon, tuna, shrimp, scallops or squid. Or if you’re partial to a bit of meat with your veg, then add a small amount of thinly sliced grilled lean meat. You could use grilled halloumi cheese or cubed mozzarella instead of feta, and replace grilled zucchini with eggplant, or include other veggies like grilled portobello mushrooms, asparagus, onions or tomatoes. And you can add toasted pine nuts, walnuts or pistachios for a contrasting crunch. This salad also lends itself to endless serving possibilities. As well as making a great side salad, you can pile it on top of bruschetta, toss it with pasta, sandwich it between pieces of bread, or enclose it in a wrap or pita pocket. PLACE the lemon juice, olive oil, parsley, salt, pepper and garlic in a jar with screw-top lid and shake to combine. PREHEAT a char-grill pan (or outdoor grill) over high heat. BRUSH both sides of the zucchini slices with the extra tablespoon of olive oil. COOK the zucchini slices in the hot char-grill pan for 3 minutes each side. CUT the zucchini slices into bite-size pieces. 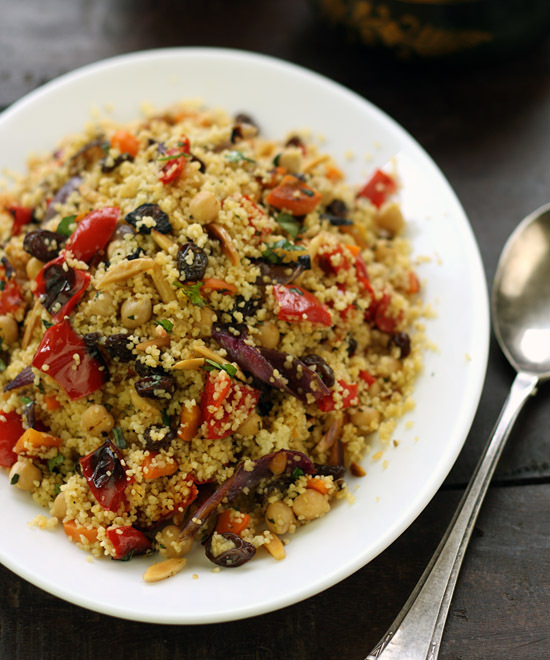 GENTLY toss the red pepper, zucchini, baby spinach leaves, and olives with the dressing. SERVE on a large platter topped with the crumbled feta. 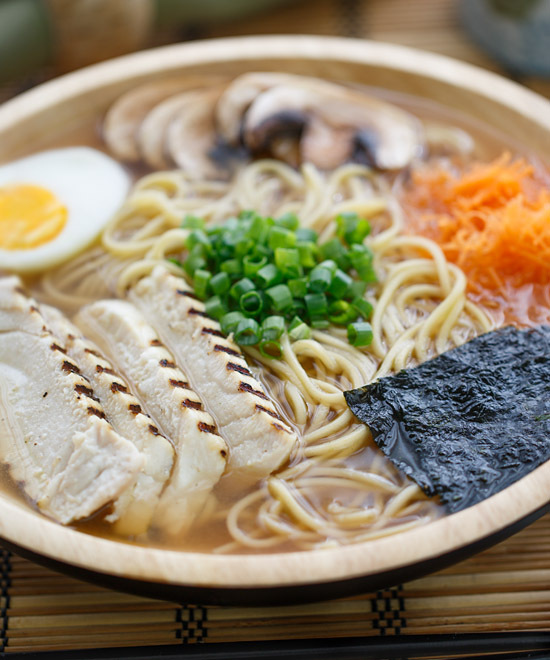 Variations: For a more substantial meal, add a few slices of grilled chicken breast (or shredded rotisserie chicken), or some grilled or barbecued seafood like salmon, tuna, shrimp, scallops or squid. Or add a small amount of thinly sliced grilled lean meat. 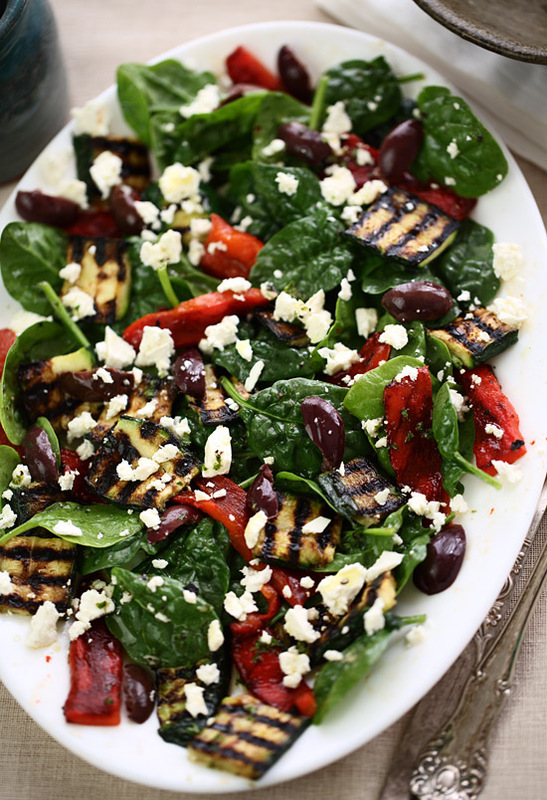 You could use grilled halloumi cheese or cubed mozzarella instead of feta, and replace grilled zucchini with eggplant, or include other veggies like grilled portobello mushrooms, asparagus, onions or tomatoes. 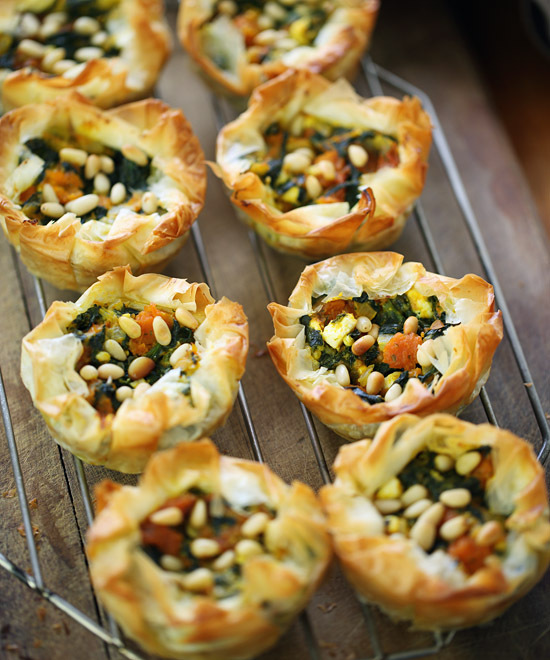 And you can add toasted pine nuts, walnuts or pistachios for a contrasting crunch.